It will take at least 3 years before 5G is ready for commercial service but U Mobile is now a step closer with its commercial roll out of 4.5G. This is the first in Malaysia and it’s made possible in collaboration with Huawei. 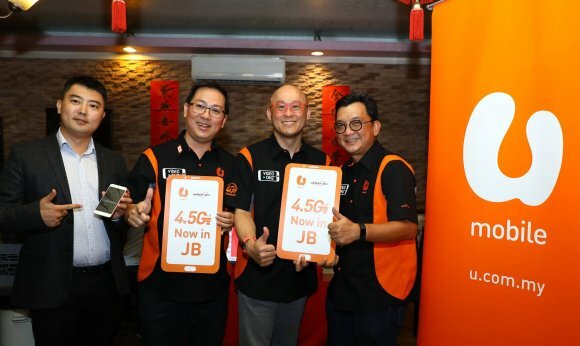 With 4.5G, U Mobile promises twice the speed of 4G on supporting devices. At the moment, it is available for U Mobile customers in Johor Bahru and it utilises both 1800MHz and 2600MHz bands. According to U Mobile CEO, Wong Heang Tuck, they had made huge investments on their network which would surpass RM1 billion this year. With the recent spectrum allocation, U Mobile will also gain access to 900MHz band which they will utilise to increase its network capacity. As a result, customers can expect better experience starting in Johor Bahru, Ipoh, Penang and the Klang Valley. Huawei has been championing 4.5G for the longest time and the Huawei P10 was recently introduced as the world’s first 4.5G smartphone. 4.5G has been standardised by 3GPP as LTE-Advanced Pro and in theory, it can deliver Gigabit download speeds by enabling 4×4 MIMO, 256QAM and 3CC carrier aggregation. 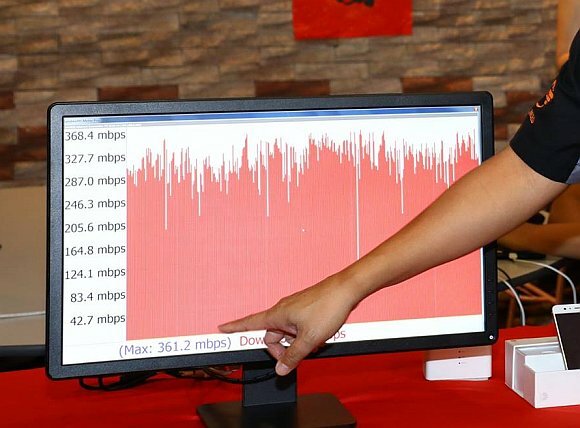 During the announcement, U Mobile didn’t make any speed claims, however, looking at their event photos, it appears that their network in Johor Bahru can push a peak download speed of 361.2Mbps. It’s fast, but not as fast as Celcom’s Lightning Fast LTE Advanced network that demonstrated peak download speeds exceeding 400Mbps. We can expect better performance from U Mobile once they start utilising all 3 bands – 900MHz, 1800MHz and 2600MHz, for 4G LTE. While U Mobile starts rolling out in Johor Bahru, Celcom will roll out their faster network starting in the Klang Valley beginning August this year. Celcom also plans to roll out LTE Advanced Pro with speeds exceeding 1Gbps sometime next year. If you’re a U Mobile customer with a Huawei P10 in Johor Bahru, have you noticed any difference in performance? Let us know in the comments below.